Stella: I loved reading about your adolescent memories. I would like to know, what is your favourite memory of Lily or about what you two did together during all these years you have been friends? Sam: Well, Lily and I have known each other a long time, as you say. One of my favourite memories is the time Lily and I went into Algonquin Park together. It would be ten or eleven years now. It was before Lily moved north to run the lodge. She was still in university and I’d just finished my carpentry apprenticeship. We spent two weeks together, paddling every day. 20, 25km a day usually. Sometimes, we’d see other campsites or pass a canoe on the lake but most of the time, it was just her and I. We talked about everything. About nothing. We’d sit around the campfire at night and watch the flames and plan our lives. With the exception of our honeymoon last spring, best two weeks of my life. Hands down. Did we plan on falling in love? Well, I might have dreamed about it but in retrospect, I think it was best that it developed as it did. We appreciate it more now. If it had been easy, we wouldn’t know how special what we share really is. Stella: What do you love the most about Lily? And is there anything, any special trait of her which drives you up the wall? Sam: How long have you got? I love her strength and her willingness to get her hands into something. She’ll never ask someone to do something she wouldn’t do herself. I love the way she always cries during the sad parts of a movie, even if she’s seen it a million times. Sometimes, I like to wake up early and watch her sleeping beside me. She talks in her sleep and there’s nothing I love more than watching her beautiful face at rest and hearing her whisper my name in her sleep. The flip side of her independence is that Lily has a hard time accepting other people’s help. I think that was one of the reasons she was so reluctant to share her experience living with Brent with me. It’s can drive me up the wall sometimes, but I try to keep it in perspective because I’ve always had a hard time accepting help, too. I think I had to grow up and make a lot of decisions most eighteen year olds don’t have to make. So I got used to relying on my own judgement, too. It became a matter of pride, I guess, but it doesn’t always make for smooth sailing in a relationship. We’re both learning to put our trust in each other more and to talk through our issues openly and honestly. It’s a work in progress but when I see how far we’ve both come, I know it’s been worth it. Stella: Do you remember when you first realized you were in love with Lily? Was it a specific moment or a string of events? Sam: I knew when she knelt down beside me in the boathouse that first summer and asked me why I was so upset. I’d just been told that one of my customers, who I’d cut grass for all summer, wasn’t going to pay his bill. She got this angry, scrunched up look on her face, like she’d take on the world for me if she had to. No one’s ever looked at me like that since and that’s when I knew I felt more than just friendship. Of course, what did I know at fourteen? If I’d tried anything then, I probably would have kissed her ear by mistake and ended up in the lake for my troubles. (laughs) The wait was long in and not without a few dark nights but totally worth it. And for the record, my aim has improved when it comes to the kissing thing. I think Lily’ll vouch for me on that. Stella: Do you believe in guy/girl friendships or do you think it is impossible as most of the time either of the parties feels more for the other than mere friendship? Sam: I totally believe in guy/girl friendships. I know Lily and I turned into so much more but I still think of her as my best friend, too. The lover and the friend are distinct – there sides of the same coin and without them, I don’t think our relationship would be nearly as rich. Stella: You got to grow up quite early and had to raise your sisters when you were still a teenager. What was the most difficult thing about being the single guardian parent of your two little sisters? Sam: Always worrying that I was making the wrong choice. There are so many things you have to consider when you’re raising teenagers. And I was still a kid myself. I wanted my sisters to be safe and happy and successful and there were so many times, so many risks, that could have taken them or me off that track. A lot of times, I was sure I’d done it wrong and that everything was going to come crashing down on me or that I was going to be revealed as a big fraud. That it didn’t is more a credit to my sisters, who are two of the finest women I know, than it is to any secret technique I might have discovered along the way. Stella: What is the achievement you are most proud of? Sam: Being the man who gets to love Lily Carver for the rest of her life. Stella: The end/resolution of your story (Lily’s public declaration, 2nd I love you at the city council meeting) is a bit confusing to me, so if you could shed some light on your feelings and thoughts about that, that would be greatly appreciated. I don’t understand what really changed: when Lily told you she loved you in her bedroom but said you two didn’t have a future since you two wanted different things, then a few days later at the council meeting she once again said she loved you. But what did that change? How did you interpret that differently than her first declaration? What gave you hope and think it meant she wanted to have a future with you? Sam: That was a rough time for us. I’d pushed Lily pretty hard. I wanted her to admit that she loved me and saw a future for us. After all, I’d had twenty years, give or take, to prepare to say ‘I love you’. Lily’d spent the past five years refusing to say the words at all. To anyone. Because for her, love meant being hurt. But to answer your question, we’ve talked about it since and domestic abuse is really insidious. It isn’t just the bruises that are damaging, it’s the psychological warfare, the way the abuser gets inside your head and warps how you see yourself, that is so evil. It’s like a fun house mirror, where everywhere you look, you’re too short or too tall or too wavy. After a while, you can’t see yourself as anything but damaged. Lily couldn’t believe I saw her as someone I could love and from what she’s told me since, when we had that argument in her bedroom, she thought that letting me go, and wanting me to find someone ‘better’ was best for me. When Rory threatened Lily at the council meeting, she realized that letting me go wasn’t the answer after all. She was scared. And she wasn’t sure she was the right woman for me. And when she hauled me out into the hall, I was terrified, too. But I knew that we had a future together when she told me that even though she was still afraid, she didn’t want to miss out on the possibility of being together just because of the fear. That’s why I think she’s the bravest woman I know. She could have kept safe. She could have protected herself, no matter what, but she didn’t. She risked her heart again and I can only say how happy I am that she did. Thank you Sam and wishing you lots of joy and happiness with Lily, here's to you two making many more great memories together! 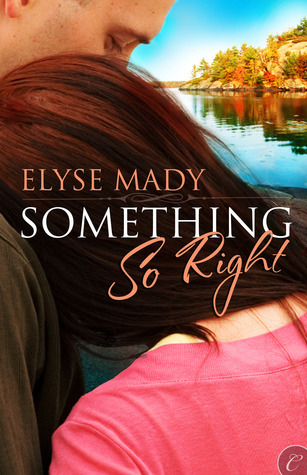 Elyse Mady is the author of “Something So Right”, “Learning Curves” and “The Debutante’s Dilemma”, all with Carina Press. Upcoming books include “The White Swan Affair” (2012). 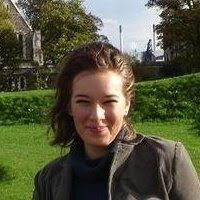 She blogs at http://www.elysemady.com/. You can also find her on Twitter at @elysemady, Facebook and Goodreads. ELyse has generously offered an ebook copy of either Something So Right, Learning Curves or The Debutante’s Dilemma winner's choice to a lucky commenter! 2) leave me a way to contact you should you win. Giveaway is open worldwide and ends on 7 November 2011! Elyse is also having a Grand Prize Giveaway! The grand prize pack is a gorgeous hardcover photography book about Muskoka history, a beautiful set of Group of Seven mugs, a set of note cards and some Canadian maple syrup! Comments from each tour stop also act as an entry into this grand prize give-away. This giveaway is only open to US/Canada. Tuesday, November 8th -Grand prize announcement on Elyse Mady’s blog!